I recently received a Bobby Jones XH20 RTJ2 Full-Zip Vest for review. Like all Bobby Jones brand apparel, this is very well made piece of golf apparel. 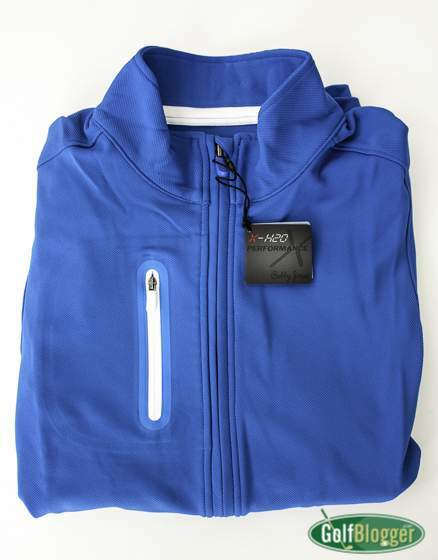 The vest features a wind-resistant stretch vest with mesh side panels, hidden side zipper pocket and zipper chest pocket with attached microfiber ball cleaner. I love vests. A good vest to keep the core warm is often all I’ll need to play golf in Michigan temperatures down to the forties. I’ll have a full review in a couple of weeks. I am certain that the weather will be cool enough to test this one.